‘Social housing’ means different things to different people, with its connotations celebrated, moulded and manipulated in equal measure over the years. 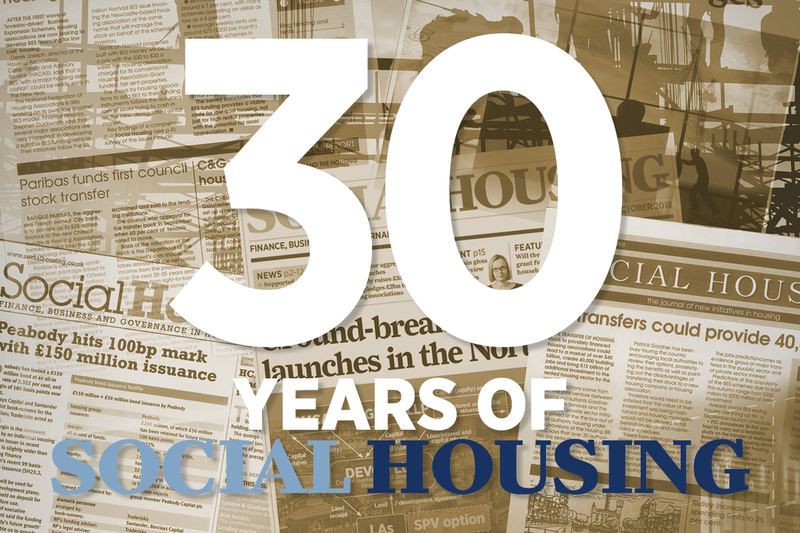 As we mark this magazine’s 30th anniversary, social housing is reconnecting with its roots. And that is something to celebrate. 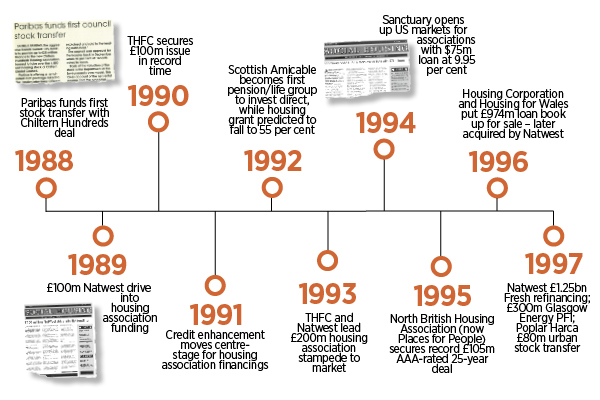 The story of our very own Social Housing is one that begins in 1988, from the front room of a house in north London, when a pair of prophetic freelance finance journalists, Sebastian Taylor and Tim Roberts, launched their “desk-top publishing venture”. 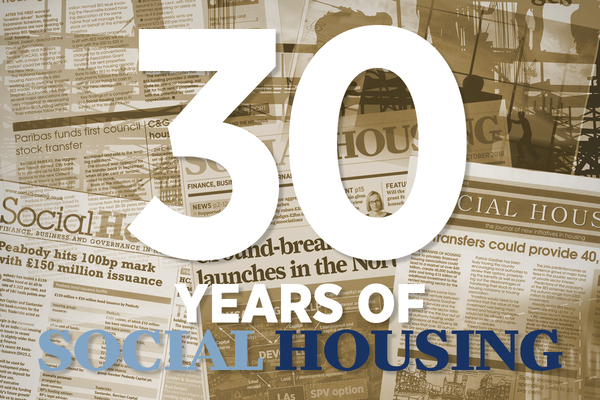 Over the three decades since, it has grown into the go-to publication for anyone in UK social housing finance. 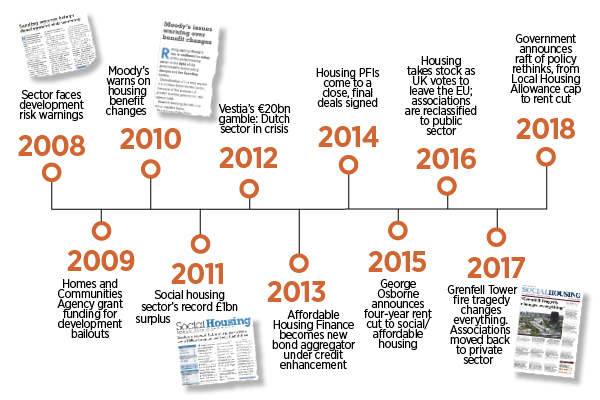 The magazine’s roots lie in the coming together of social housing and private finance, from the very first bank-backed large-scale voluntary transfer that grabbed the front page on our maiden edition, right through to the £90bn that sits within the sector today. In this special supplement, we look back at how this sector has evolved and performed, and ahead to what the future may hold. Journalists, who exist in a media bubble the world over, trade on scoops, exclusives and breaking news. It’s when you look back through a 30-year archive that you’re reminded of how much has already been said and done before. Our very first edition epitomises that, covering the first bank-financed large-scale voluntary transfer: the formation of Chiltern Hundreds Housing Association, now known as Paradigm, financed by Banque Paribas. Thirty years on, in 2018, we and our now-sister title Inside Housing, were reporting excitedly about BNP Paribas providing some finance to a housing association. When you look through the timeline of what has gone between, it’s frequently freakishly familiar. Changes in regulation and government legislation are done and undone. Events repeat themselves, from housing association ventures in the US funding market and private rented sector, to The Housing Finance Corporation doing quick and cheap deals. 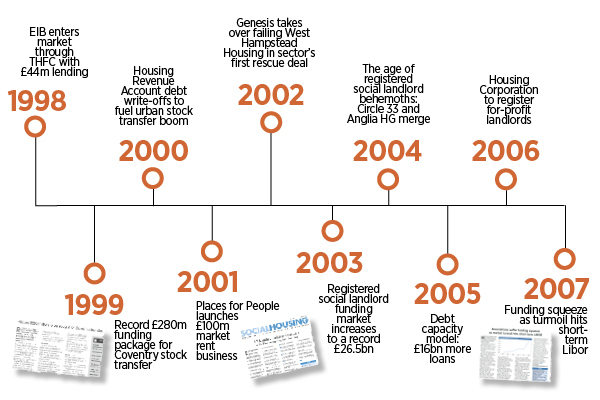 The financial turmoils, housing association rescues and takeovers, bailouts, and warnings over development risk. And the warnings about changes to the welfare system. There were the mega-mergers of their day – notably described as the “age of RSLs’ behemoths”– when Circle Anglia was created. A little over a decade later the colossus known as Clarion emerged. of chief executive pay levels over the years. Most significantly last year, something else cast a dark and tragic shadow over all of the above: the deaths of 72 people following the Grenfell Tower fire in June 2017. These are moments to contemplate as we mark 30 years; a time to reflect on what has been achieved to date – and what’s left to do. With some welcome signs of longer-term solutions and partnerships, it is logical to question what we want the next five, 10, 20 or 30 years to look like. Because despite all the investment to date, and the dedication of housing associations over the past three decades, there remains a substantial housing and affordability challenge in this country. So, what are we missing – and how do we fill the void? For many in the housing association sector, 2018 has delivered a palpable sense of opportunity and ambition among housing associations and local authorities, backed by a political will we haven’t seen in some time. the speculation – but more about the ‘why’ and the ‘how’. That means understanding and detailing the mechanisms by which this ambition can be met. That incorporates business, funding and financial models, risk and opportunity, regulation, business transformation and ways to crack the affordability conundrum. But perhaps what the past 30 years have shown is that the status quo isn’t enough on its own. And any model that depends solely on political will is likely to be forever stuck on a spin cycle. What remains just as strong today as in 1988 is the social purpose that drives housing associations on. It may well look different; the sector can’t be one that is untouched by the commercial or corporate worlds. But, arguably, social housing has never been that far removed from the commercial world anyway – you just need to look through the Social Housing archives to see that. At the heart of this sector, and so many of the people working within it, is a determination to provide safe, affordable, decent homes for as many people as possible. That is what the funding and finance is ultimately all about.